Colorism is a form of racial discrimination based on the shade of an individual's skin tone, typically favoring lighter skin. It can occur both within a specific ethnic group and across ethnic groups. People who never experienced colorism want to argue with dark skins,u are like Yt ppl who want 2 tell Black people abt Black problems,crazy. Hollywood highlighted some barriers when it comes to colorism. Growing up, I didn’t see people with my complexion at the forefront or being shown as beautiful. I only saw one representation of beauty and that was of a black person with a lighter complexion. [H]e noticed a particular dichotomy between the two biological sisters in the movie: the light-skinned sister is poised and desirable, while her dark-skinned counterpart is boisterous and slutty. The movie made him realize how pervasive colorism is in many of his old favorites. Where does colorism come from? The practice of colorism spans history and culture. In several ancient East Asian societies, light skin was prized, viewed as a sign of privilege and wealth, as darker skin resulted from manual labor in the sun. Colorism is especially associated, however, with European colonialism starting around 1500, as many native people in Africa, the Americas, and Asia had darker skin than their lighter-skinned European subjugators. Native people—and their offspring with Europeans—with lighter skin tones were often seen as more European and afforded greater status, privilege, and opportunity. Such cultures have notably included India and South Africa as well Brazil, Caribbean, and the United States, where the importation of African slaves furthered colorism. 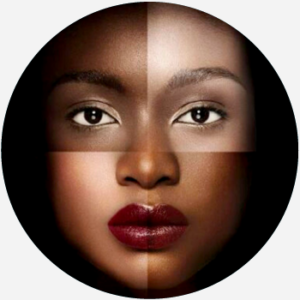 The phenomenon of colorism has affected, and continues to, affect societies with profound and complex histories of colonialism, racism, and what was historically labeled miscegenation, or racial interbreeding. The word colorism is modeled on other discriminatory isms such as racism. Early uses come in the 1960–70s, notably used in US and Brazilian racial contexts. In the 2000s, many have charged the entertainment industry with colorism for casting white performers in historically black roles or choosing lighter-skinned black people over darker-skinned counterparts—a practice also known as whitewashing. Publications have also faced charges of colorism for artificially lightening the skin tones of prominent black figures from Beyoncé to Barack Obama. Colorism, as distinguished from racism, can occur across ethnic groups but also within an ethnic group. Historically, for instance, some black parents may have favored lighter-skinned children due to internalized prejudices or may have felt compelled to favor lighter-skinned children because of the greater opportunities they were afforded in mainstream white society. The term is used among sociologists, anthropologists, historians, and other academics studying race and ethnicity. Social-justice activists and social/media critics may also use colorism when discussing the phenomenon in speech or writing. Colorism is not to be confused with a colorist, a term for a specialist in hair-dying or coloring in art and media, though the word is occasionally applied to a person who practices colorism, à la racist.